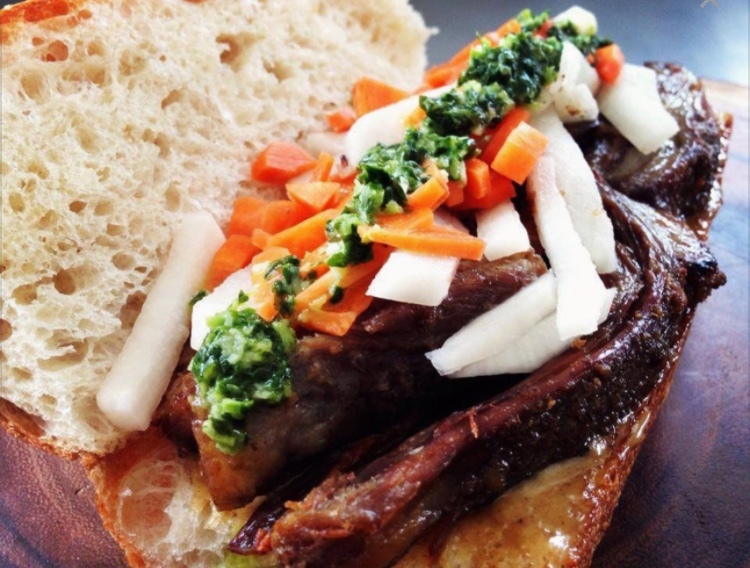 Already popularized by stints in Miami, Brooklyn, and elsewhere, the popular kosher pop-up will be launching this upcoming Tuesday, May 5th, and every Tuesday thereafter with a different sandwiches, soups, and small plates each week for lunch. The food is prepared and sold at DJCC (Downtown Jewish Center Chabad) in Ft. Lauderdale. Delivery in the Downtown Fort Lauderdale area is available for a nominal fee. Each week will feature a new sandwich. Here’s the first week’s menu, which must be pre-ordered online by clicking here, and will cost $18: Thick cut veal “bacon” w/apple fennel slaw sandwich, served with a southwest corn salad.